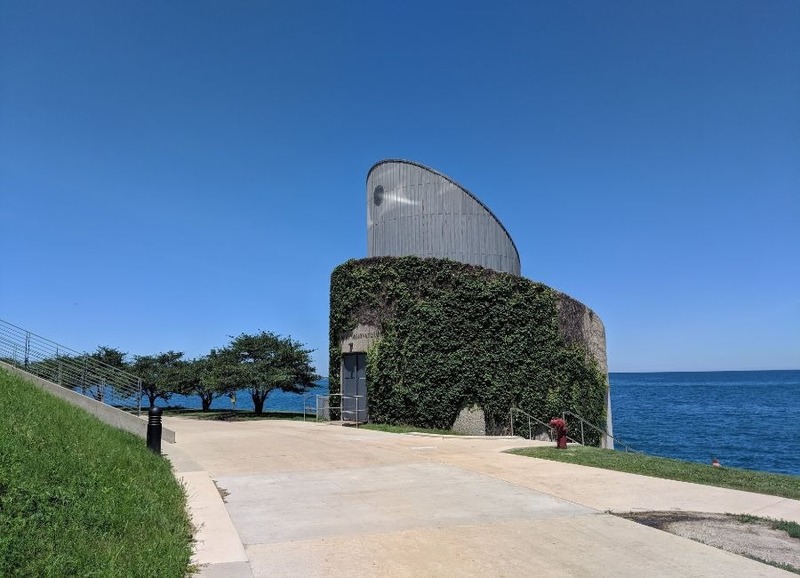 The Adler Planetarium’s Doane Observatory is special in a lot of ways. Last summer, despite our best efforts, the health of both the 41-year-old Doane Observatory and the 31-year-old telescope inside took unexpected turns for the worse. In Spring 2018, the chain for the roof shutters motor snapped—that’s the motor that opens and closes the opening in the roof of the observatory for the telescope to peek out. No open roof = no telescope viewing. So, it was time to call in some experts. Michelle Nichols, Adler’s Director of Public Observing, reached out to the company that originally built the telescope to have them diagnose the problem. On top of all this, the telescope’s mirrors needed a lot of TLC. Michelle had noticed back in fall 2017 that the view through the telescope wasn’t as good as it had been in the past. The telescope’s mirrors would need to be removed and tested to figure out the best course of action. 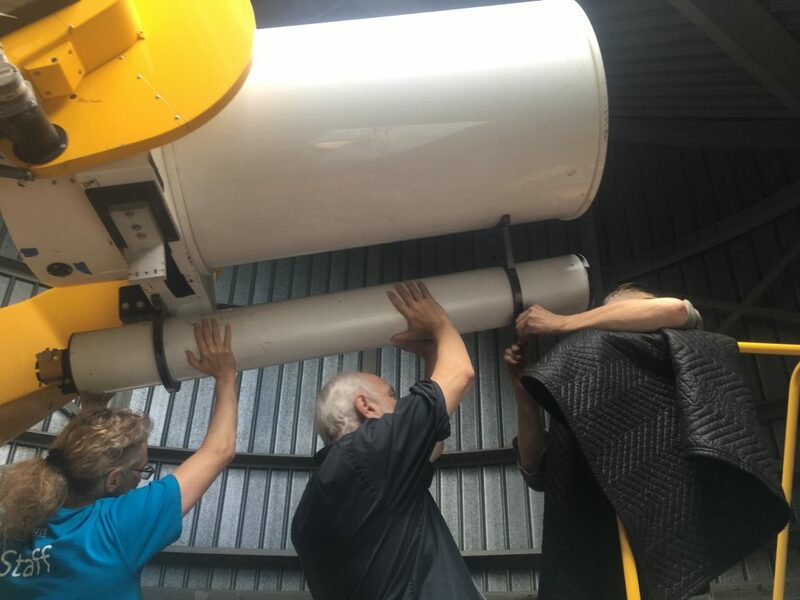 Michelle (left) and crew in the process of removing the mirrors from the telescope, September 2018. The telescope’s mirrors were taken out in late September 2018. Once removed, Michelle drove the mirrors to Lockwood Custom Optics in Philo, Illinois, where Mike Lockwood would diagnose the problem. 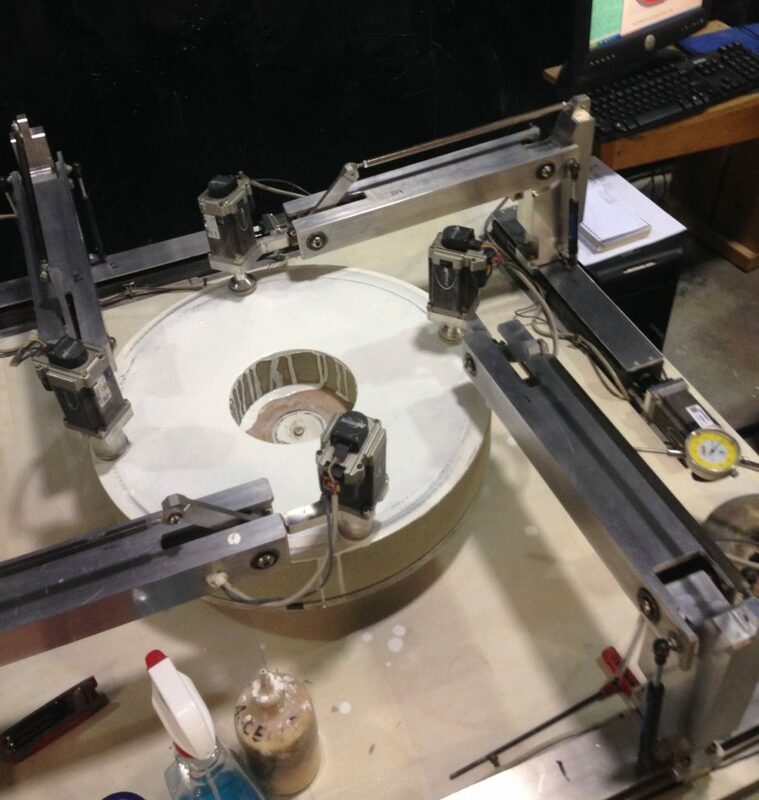 Test stand for mirrors after arriving at Lockwood Custom Optics. During the testing, Mike noted that the shape of the main mirror was off. The shape, to put it in everyday terms, resembled a Pringles chip. We needed it to be shaped more like a bowl. In the end, it was decided that the main mirror would need some refiguring. The company we chose to do the work was Star Instruments, Inc. Paul Jones, the owner of the company, met Michelle halfway between Chicago and his lab in northern Georgia as she personally drove the mirrors 400 miles to Lexington, Kentucky, for the handoff to Paul. 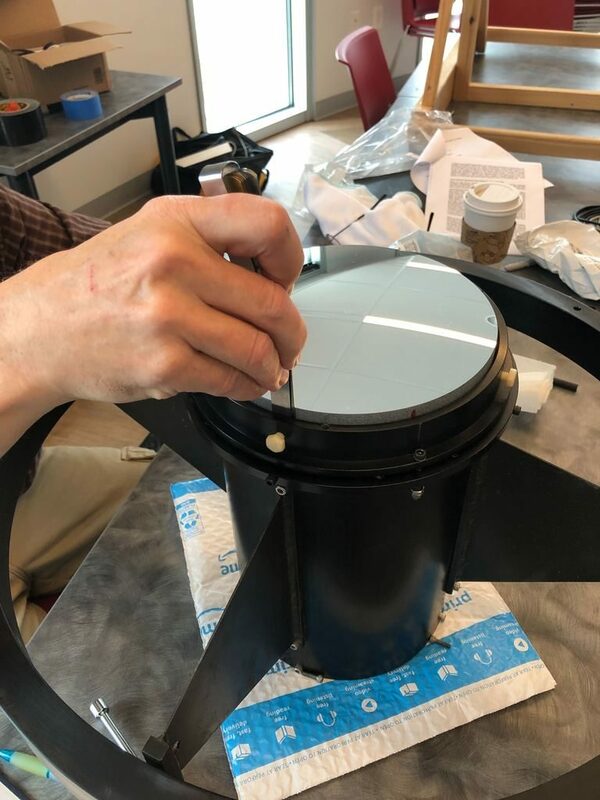 Coincidentally, Paul Jones was the original creator of these same telescope mirrors—meaning he got the incredibly unique chance to get his hands on a mirror he made and had last seen more than 30 years ago! 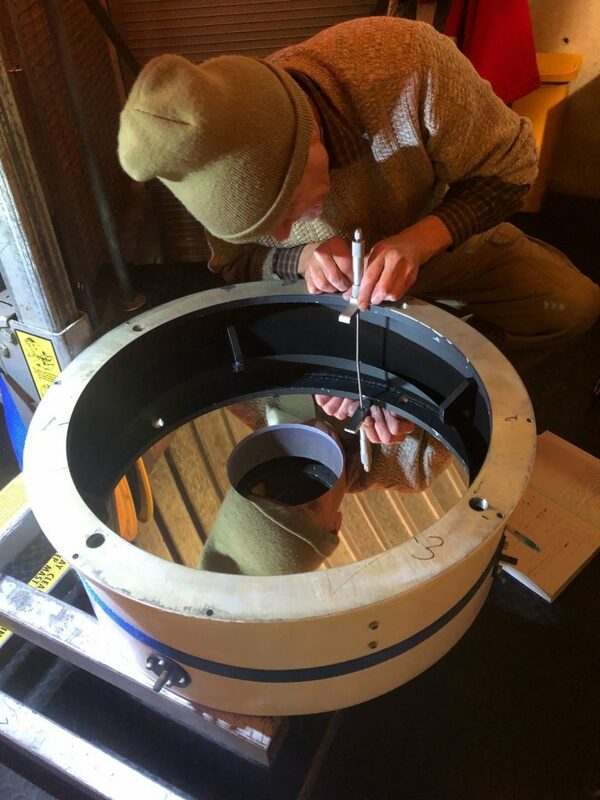 Over the course of the next month, Paul stripped the reflective coating off the main mirror using an acid bath and used a special machine to polish the mirror back into shape. He then drove the mirrors to Spectrum Coatings in Deltona, Florida, to get a new reflective coating put on to get them back into tip-top shape for stargazing. 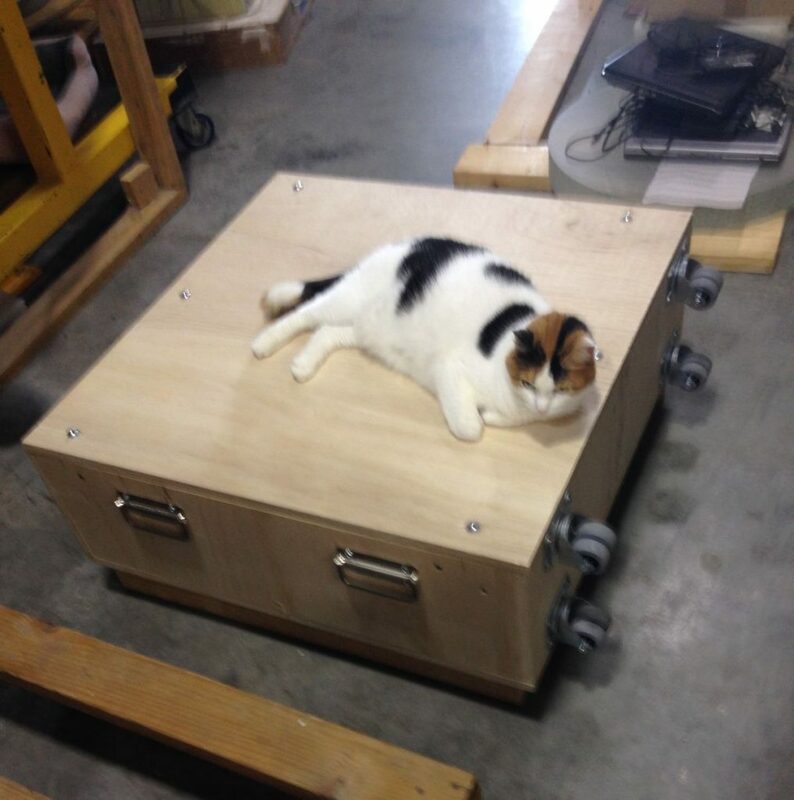 One of Star Instruments’ hardworking “lab technicians” inspects the mirrors upon their arrival. The main mirror on the polishing machine at Star Instruments. 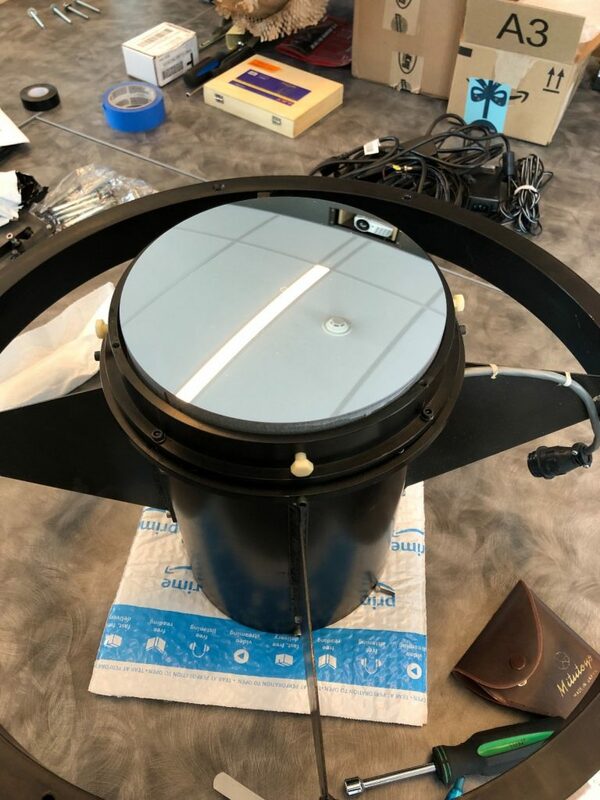 In December 2018, Michelle made the return trip to Lexington to pick up the mirrors from Paul, which would be re-installed in the Observatory after the new year. This delicate process would take a full cold day in January 2019 (sans heating—ouch!). Mirror re-installation process begins in the late morning on January 15, 2019. Seen here is the smaller secondary telescope mirror after it was placed back into its holder & frame. The secondary mirror is centered precisely in its holder using special flat gauges. While we’re at it, why not do some additional cleaning? 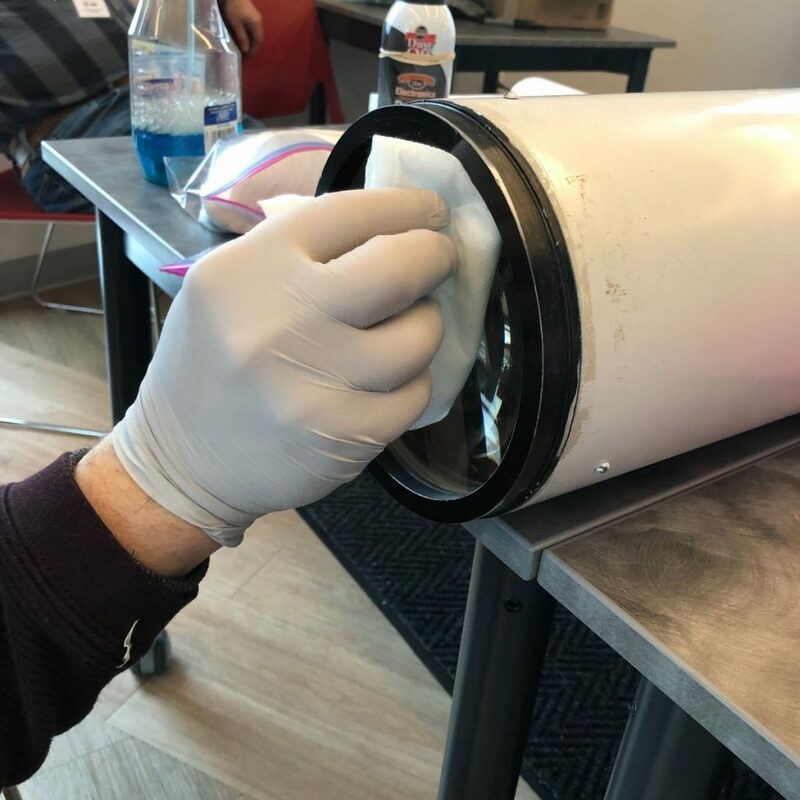 A Chicago Astronomical Society volunteer gives the 6” finderscope lens some cleaning love. 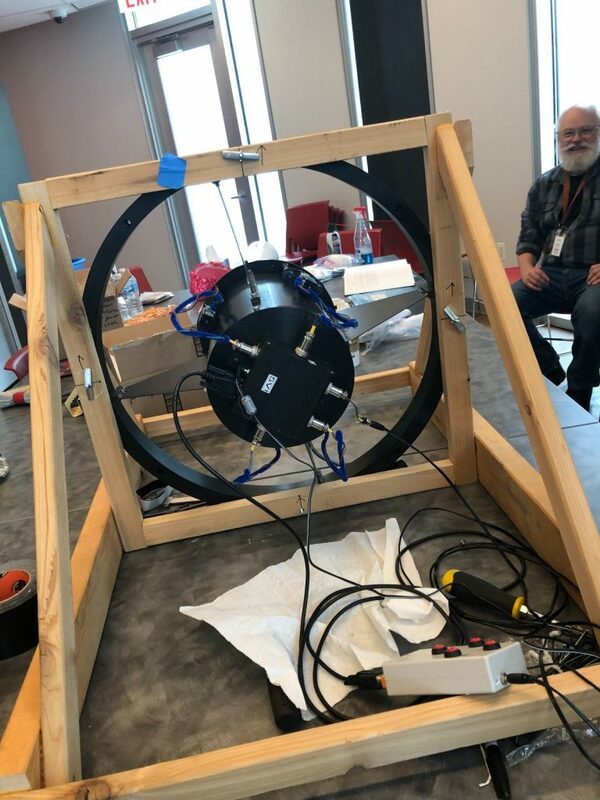 This set of motors (the black box on the back and the wires/pipe cleaners/tiny motors on the sides) was made especially for our telescope by a member of the Fox Valley Astronomical Society to allow us to adjust the alignment of the small mirror much more easily than before. A volunteer from the Fox Valley Astronomical Society uses a micrometer to measure how level the edges of the telescope are. At 10:46 pm, the Doane is back in business! After months and months of work, the mirrors were finally installed again. 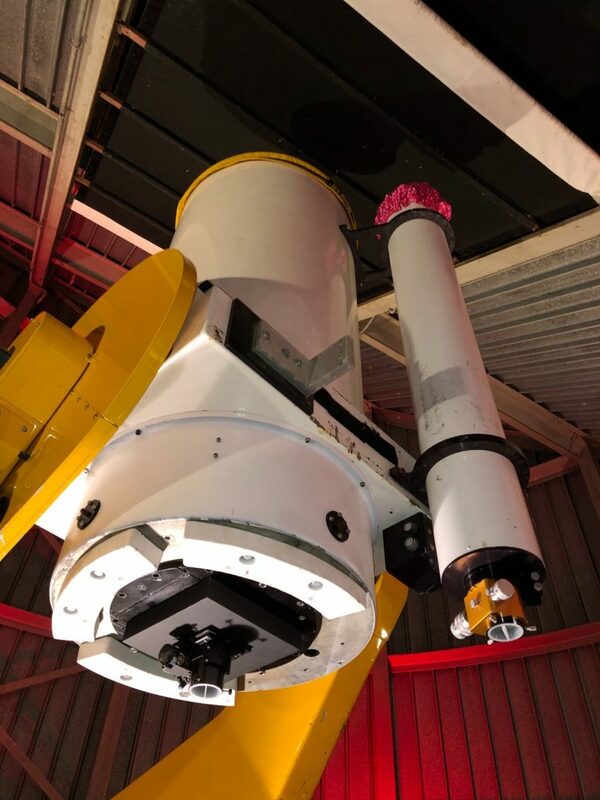 The last and final step, aligning the mirrors, would take place on two cold evenings in February and March 2019, just in time for the first Doane Observatory tours of the year to take place at Adler After Dark on March 21. 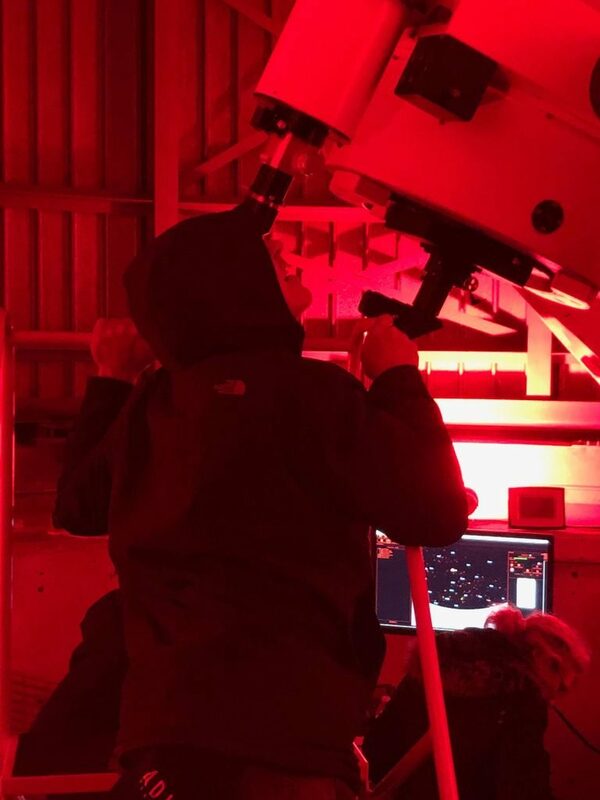 Chicago’s own John Cusack enjoys a first look through the newly re-assembled telescope during Adler After Dark on March 21. 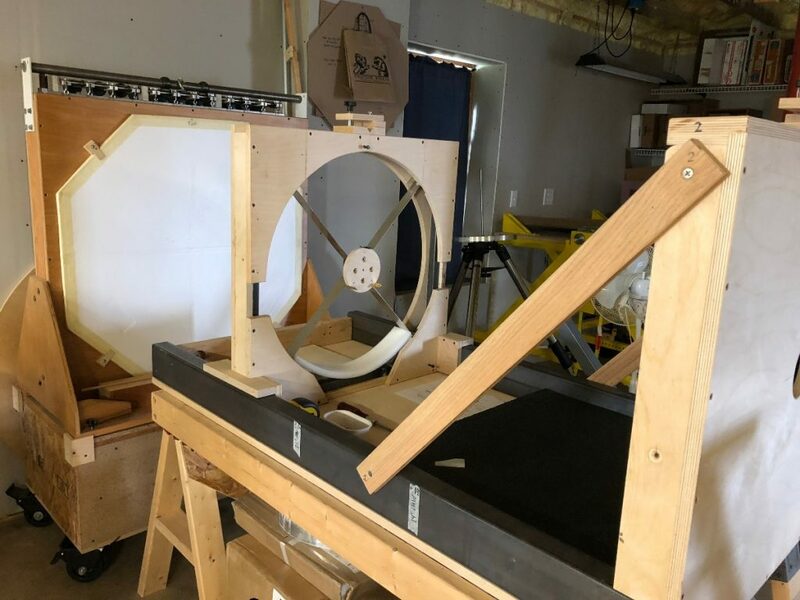 Throughout many rounds of work on the telescope mirrors—uninstallation, installation, and aligning—Michelle got a huge amount of much-needed help from members of the Fox Valley Astronomical Society and the Chicago Astronomical Society, who put hours and hours into the entire process. The results we have today would not have been possible without their dedication and support. For that, we say a huge thank you to both organizations! Caring for the Doane Observatory is a labor of love. The telescope has spent over three decades observing the sky and requires dedication and patience to keep it in working order. We are so proud of our Observatory and we look forward to sharing it with our community again this spring and summer! Catch us at Doane at Dusk where we’ll be looking up each month at a variety of celestial objects in the night sky or consider stopping by during our solar viewing hours, beginning in late Spring 2019. And shhhhh…stay tuned in the coming months for a big announcement about the Doane Observatory! We have some exciting news to share!